Rancho La Puerta is the original destination fitness resort and spa. Whenever your inner voice says, “I need a vacation,” The Ranch welcomes you with a program, a setting, and a group of fellow guests that are joyously unforgettable. Run creative and strategic retargeting only ads leveraging influencers and press. 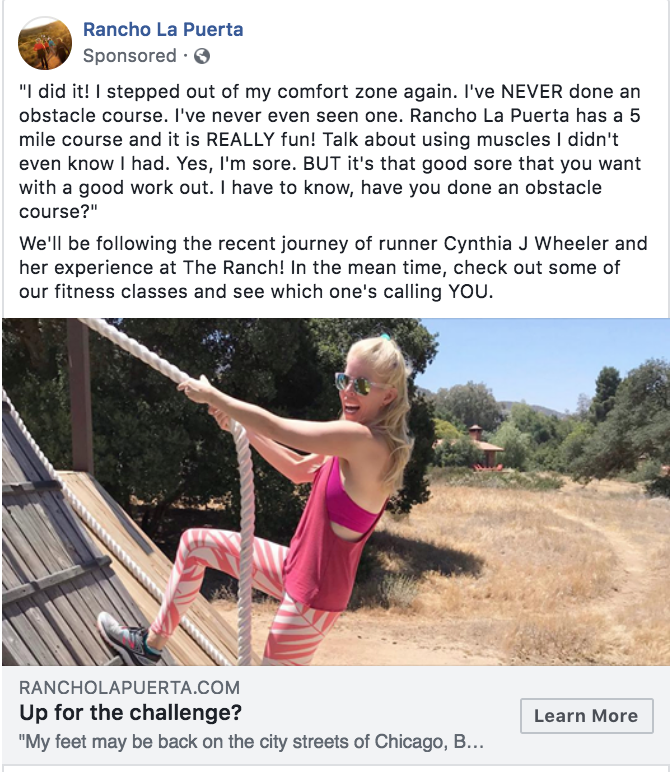 While we run many other retargeting ad objectives in Facebook and Instagram for The Ranch, we wanted to try leveraging their PR to see what kind of new results we could achieve. We regularly keep an eye out for catchy posts, headlines, and other press. 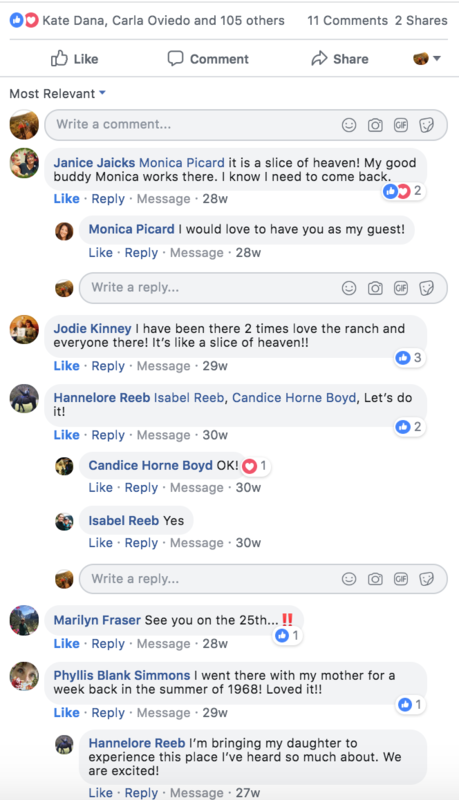 One caught our eye, as their PR team did a stellar job setting up the perfect person to visit the Ranch. We immediately realized there was still some untapped potential here. 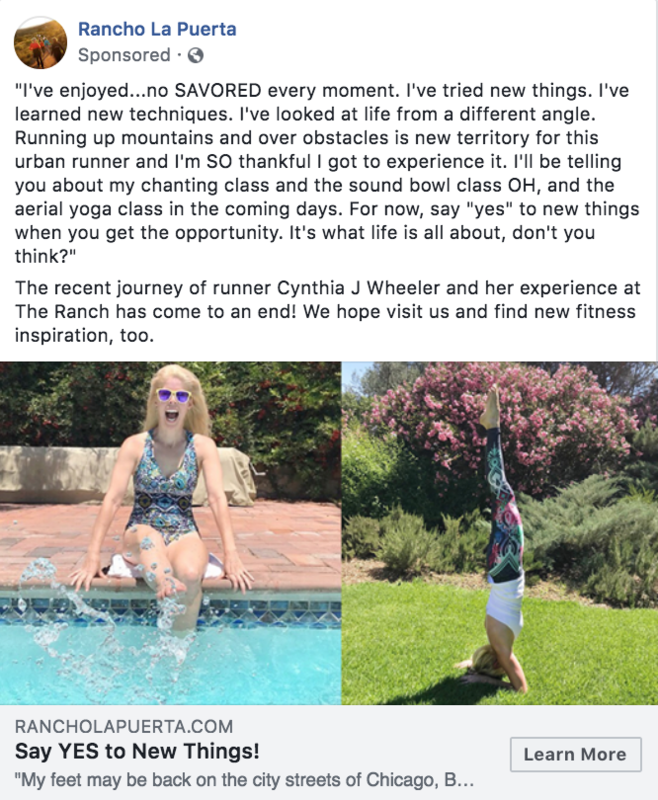 There are definitely people who would love to read about this runner’s experience, but may not have been in her sphere of influence. Basically our thought is, “These are TOO good to just let slip by!” Essentially, we want to re-publicize, the publicity. 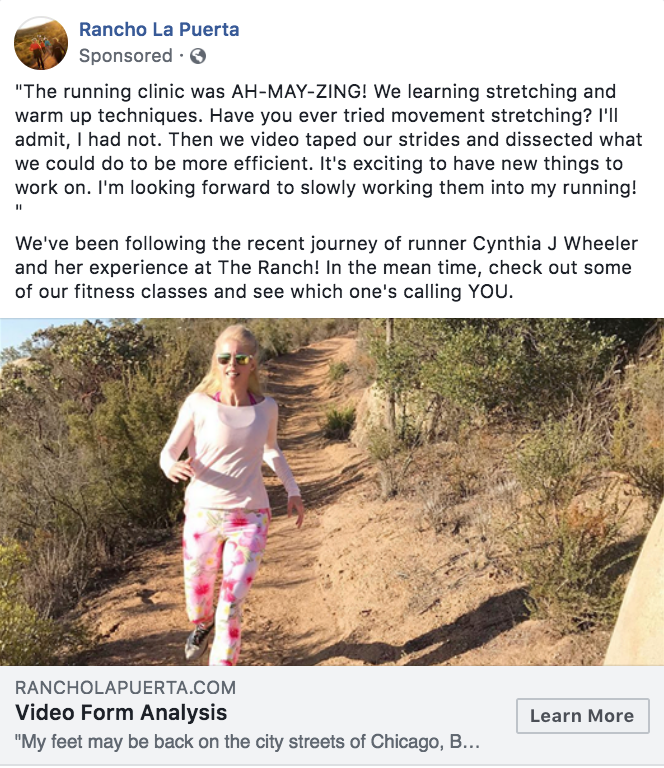 We decided to drip out her posts to all retargeting audiences (so website visitors, email lists, page engagers, etc) but narrowed down to runners and fitness enthusiasts. Once these folks had seen her post about 2-3 times, we would roll out the next one. This was the most eye catching photo, plus we wager a lot of people are unfamiliar with obstacle courses, so this seemed a relatable one to start with. Plus it does look kind of fun to imagine going up that wall on a rope, doesn’t it? We used her running clinic review as the next ad, once they’d seen the first one multiple times. The last ad was a recap of her experience, with some food for thought and a little subtle encouragement to visit. Facebook ads used to call for a very narrow landscape image, so we had to get creative because we really wanted to show her splashing in the pool. It wasn’t as easy to crop in on this one as the first two ads, so we combined two of her photos into this one ad. 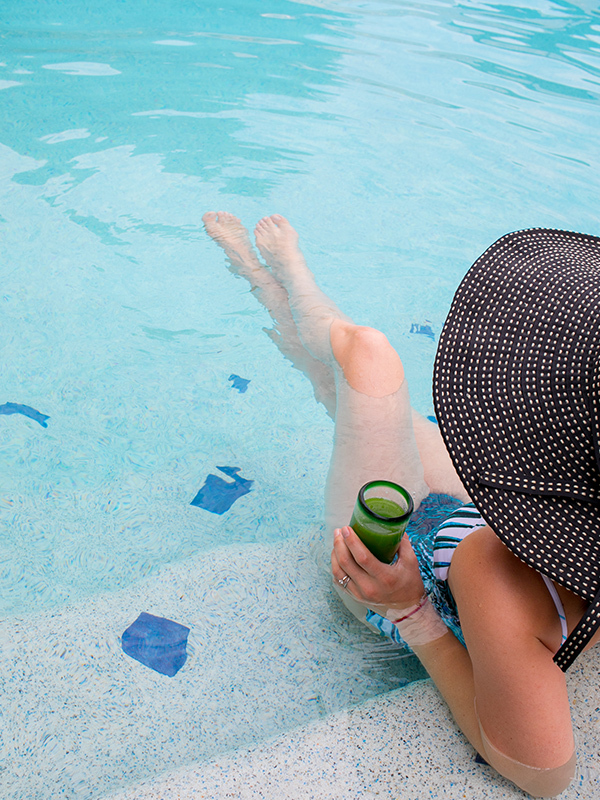 On the Instagram version of this ad, we choose just the splashing in the pool picture.